Now a long, very elaborate biography follows, in which some performances are described. Lotte van den Berg is born in 1975 in Groningen. Already during those early years, Lotte is fascinated by theatre. As a little girl, she follows the work of her father, theatre maker Jozef van den Berg, from behind the scenes. She briefly embarks on studying law at the University of Amsterdam, followed by Theatre studies and Philosophy. It becomes ever more evident that she nurtures a strong desire to make theatre herself and in 1998 she is accepted into Theatre Direction at the Amsterdam School of the Arts. Together with her classmates Olivier Provily and Marcus Azinni that year she is also awarded the Top Naeff prize as 'best graduates' from the theatre school in Amsterdam. 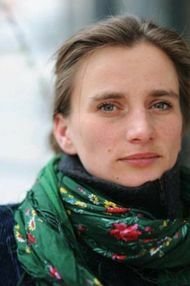 Upon completion of her studies, Lotte van den Berg immediately starts as freelance director at several Flemish and Dutch theatre companies. She directs, amongst others, at NNT in Groningen, Het Lab van de Berenkuil in Utrecht, Theater Malpertuis in Tielt and Theater Stap in Turnhout. Lotte van den Berg often creates on location, both for children and for adults, and she chooses to not work exclusively with professional actors but also with youngsters and amateurs. In 2003, Lotte van den Berg directs the first version of Het blauwe uur/The blue hour at Theater Artemis in 's Hertogenbosch. This surprising performance, which takes place just before sunset in the streets of a residential area, is nominated for the 1000 Watt prize and will later in time be resumed at Toneelhuis. In 2004, Lotte van den Berg makes I would like to give myself away, but don't know to whom at Het Huis aan de Amstel in Amsterdam. The performance is selected for the Theaterfestival and is also awarded the Erik Vos prize, an encouragement prize for young directors. Lotte van den Berg tends to concentrate on visual aspects and text is generally abandoned completely, or almost completely, in her performances; as a result, her work is often placed within mime as well. I would like to give myself away, but don't know to whom is also nominated for the VSCD Mime prize. In the meantime, Toneelhuis has invited Lotte van den Berg to direct a unique location project in Antwerp's prison. Begijnenstraat 42 is a touching, almost wordless performance, in which the prisoners end up on stage together with the wardens and professional actors. "The prison-project was a unique experience, for me, the players, the prisoners and the audience. Everybody had such intense reactions, it stirred up a lot of emotions. "This is it! This makes sense!" I thought excited. I could tell something more about life there, about a spark of faith in a difficult place. About being vulnerable in a community that does not appear to tolerate it." Lotte van den Berg allows gripping theatrical images to come to life in Begijnenstraat 42 through simple tasks of improvisation. The project leaves a great impression on the jury of the Charlotte Köhler prizes in Amsterdam: "Lotte van den Berg makes passionate statements about reality in her work, not at a realistic level but rather at a deeper, more abstract level. She tries to find ways to blend reality and theatre performance." Lotte van den Berg is awarded the prize which she receives on 28 June 2005 from the Prins Bernard Cultural Foundation. During the season 2007-2008, Lotte van den Berg creates Winter residence, a production for the main stage, about the beauty of attempting to believe in something. The performance which starts with playing the tape on which her father decides to withdraw from theatre altogether and dedicate himself to faith, and subsequently confronts actors and audience with the question of what is still 'true' in theatre scenes, is controversial right from the start. Karin Veraart: "With Winterverblijf/Winter residence, Lotte van den Berg has made a unique performance, one which shows her fearlessness to ask the audience questions, as this performance is clearly no standard production, given its pace and concentration. And it becomes evident that she is a director whose talent should be cherished." (De Volkskrant, 17 December 2007). In 2010, van den Berg makes the short film An exercise in dying. The subject of the film is simple and urgent. A man watches a girl die in the streets. He doesn't do anything, he just watches. The film premières at the Dutch film festival in Utrecht in 2011. 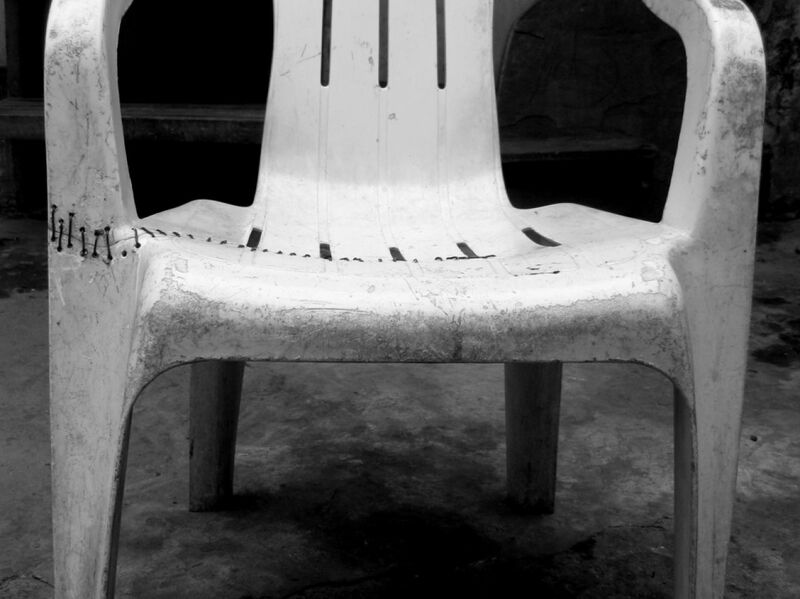 From June through September 2010, Lotte van den Berg works together with a group of artists in Kinshasa, the capital of the Democratic Republic of Congo. They work with Congolese theatre makers and artists, with bicycle repairmen, street children and informatics students. Every Friday at evening twilight, OMSK presents work in creation and public rehearsals in the middle of town, on a busy square in the grey sand. Continuously in conversation with each other and the bystanders, OMSK explores in what way they watch, how people watch the world they are at the centre of. Immediately upon their return from Congo, OMSK presents Cold Turkey under the direction of Lotte van den Berg, a live assembly of the material developed in Kinshasa during the previous months. Lotte van den Berg uses these moments as public rehearsals in preparation of the performance Les Spectateurs. As final director and mentor, Lotte van den Berg is involved in the creation of the performers collective Schwalbe. In 2008, 2010 and 2012 she guides these young, physically oriented and strong performers in their quest to develop their own theatre language. Spaar ze/Spare them, Op eigen kracht/On their own and Vals are produced as a result, of which the last two by OMSK. 'Radical and uncompromising theatre.' (Simon van den Berg, Parool, 22 June 2008). In 2012, van den Berg creates Agoraphobia. Agoraphobia is created in reaction to the destruction of the social system, from the need to speak out about it as an individual and as a community. The performance is held in open air, on a large city centre square. From a distance spectators follow, by means of their mobile phones, a man who appears to be talking to himself. Until they are addressed by him directly and become part of his lonely protest, his appeal to society. "The strength of this project lies in de enlarged solitude of this single so-called madman, which is placed next to the relative solitude of the audience... and those shoppers that look up or look the other away, alone as well." (Eric Nederkoorn, Dagblad van het Noorden, August 2012). In 2013, the performance can be seen in 5 languages, with 5 different actors, on squares throughout Europe. In 2014 Lotte van den Berg stops working under the name of OMSK. She founded Third Space, a small and very flexibel organization with which she currently creates her work, based in Amsterdam. Here she created the long term project Building Conversation. Florian Malzacher writes about it: “What is left of theater when we reduce it to its core? For the Dutch director Lotte van den Berg, theater is first and foremost an agreement to communicate with certain, often very different rules. No small talk, but – inspired by the political philosopher Chantal Mouffe – an agonistic negotiation of different opinions: To share a conflict without entirely resolving it.Over the years, Lotte van den Berg in her work step by step got closer to that core. Now, with “Building Conversation“, she took the last, logical step. Together with the visual artist Daan ’t Sas, they free theater from all As If and realize it as what it is: A place of communication, of meeting each other, a room where conflicts are shown and experienced.” Inspired by communication techniques from all over the world, models and frames for dialogue are developed. In juni 2016 4 new performative conversations are created, all related to the question: how do we talk about the future.